�����Higher metals are creating activity in nearly all series of U.S. coins, especially prior to 1960. With Gold cruising past the $1,500 mark, all the Gold charts are rising, at least for the common dates. While Silver is reaching toward $50 an ounce, all silver related charts are increasing. In this week's LD Wholesale Market Dealer Price Guide, Half Cents through Seated Quarters are active yet are showing few advances. 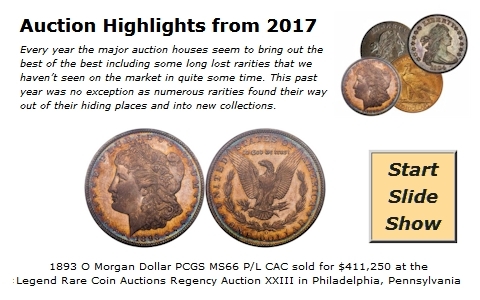 Dealers have not been posting competitive bids for most of these coins even though they will purchase them at current levels or higher if they are properly graded. Most dealers are so busy with sales for bullion related coins, they do not have the time to monitor their buy prices on the Teletype systems. However, most coins offered for sale in these categories are listed at premiums of Market prices and many sell very quickly. �����Recently we have noticed a few dealers beginning to concentrate their efforts on specific series where prices are just too low. For example, PR60 and 61 Liberty Nickels are advancing for most dates. Also, Proof Indian Cents in lower grades are indicating a series of increases. Proof 63's are now a minimum of $160 Market for Red and Brown coins and the PR62 is at least $125. Barber Quarters are receiving more attention of late with the MS63 and 64 advancing for common dates to $340 and $500, respectively. �����There appears to be no slowdown in this market. Even when the metals back off slightly, buyers are ready to take advantage of the lower prices to add to their holdings. Circulated Silver Dollar bags are now up to $38,500 wholesale. Ninety percent silver is trading at just under $34,000 per thousand dollar bag. Proof Silver Eagles are up to $86 and higher. Proof one ounce Gold Eagles trade dealer to dealer for $1,680. Demand remains constant across the country.